Run to Lose: Ready for Winter? Today at lunch I decided to gear up for winter. 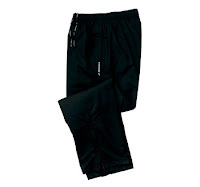 I purchased a pair of thermal running pants and gloves. I can make do with the rest of what I already have but the gloves and pants were a necessity. I like Brooks running gear a little more than most. So I picked up some very yellow gloves, good for the night time running and some running pants that don't quite qualify as running tights. For a man of my size tights are not something for outside wear. Running tights should be for those with the body for it (a license should be required). I would like to run through the winter to have enough of a base to run a marathon at the end of next year. This is a big goal but not something that is unachievable. I started running in March of this year and by next November that will make 21 months. I don't think that is pushing it. This year I have run a half marathon, a ten miler, an 8.4 miler and a 15k so I have experienced some longer runs. I think with good preparation I should be ready for next November. But first I will need to do some winter running. I will keep everyone updated on the progress through the cold weather running. and also pimped by Vanilla. 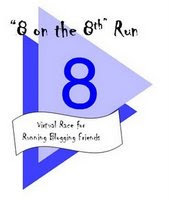 So for all the bloggers out there I will also be pimping the virtual run. I hope you will all do your 8 miles on the 8th. If I can do it than so can almost anyone. Lets get out there and make it a great race (well on our own courses by ourselves, hmmm). Well I am still going to do it. Look forward to hearing everyone's results on December 8. This was a slow run for me, but I just wanted to see what I thought about the cold weather gear. There was a cold wind tonight and that made it feel colder than it was. But I felt that the pants were great at holding the heat in and I didn't feel cold in my legs at all. The gloves on the other hand were a little less efficient. At the end of the run my finger tips were a little cold. Nothing serious but just a bit chilled. End result: Pants: A; Gloves B+ -- still good. If you looking to do a marathon next year, I'd recommend Richmond! ;) You have the right mindset for it and you've been running long enough to do it. I know you've been looking to add speed, so I'd recommend doing some 5ks in the spring and early summer to help you on that. Keeping a good base this winter will certainly help. Keep it up!! I'll be doing the 8 on the 8th as well. Best of luck to you as we virtually run together! I just bought a really bright yellow running top from Brooks yesterday, so I can't wait to see what it is like when it arrives in the mail. I hear ya on running tights although I wear them out of necessity, not because I like how I look in them. Considering how cold it gets here it is the best option. Too funny on needing a license!!! Daivid: I believe I will be doing the Philadelphia Marathon at the end of 08'. I'll find some trail runs early in the year. They are a real challenge, maybe a 10k. Leana: I look forward to the race on the 8th. I can't imagine being a runner in Canada. I suppose you get used to running in the cold. I remember when I was living in New Hampshire, I don't think I would have considered running as much as I do now. Thanks for the shout out, Rob. I feel the same way, if I can do it, so can almost everyone else!! You will be alone in person but not in spirit. I would make a wager but I'm sure you're going to kick my a$$ again. Good luck anyway!! Love the warm gear. Anytime Nancy, I will try to get all 6 of my readers on board with 8 on the 8th. Good luck on the race as well. 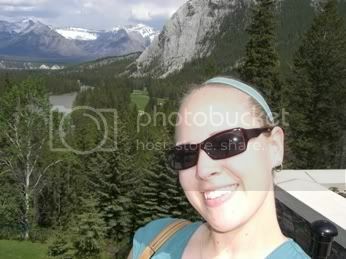 Hi Rob, I just found your blog through another through another (you get the picture). I'm doing 8 on the 8th, too. Since it's a virtual race, I'm treating myself to swag of my chosing afterwards, mainly winter running gear. Keep up the great training! I'll be reading to see how it goes. I'm doing my first full next fall, too, so it's great motivation to see how others are doing.